Here at Esselle Weddings & Events, we believe in creating your wonderful day from scratch. That means getting to know you and your other half, and how we can work together to create something bespoke to your heart. All of your dreams, desires and planning will culminate into one magnificent day celebrating your love, and we want to be there in the background cheering you on. But all of this doesn’t happen overnight. We curate a team of trustworthy, reliable and quality vendors that work together to make your wedding dreams a reality. This process begins on Day 1 when we meet you over coffee or tea (or on Skype!) and get a glimpse into your vision, learn what is important to you, what you fear, how you want your guests to feel, and most importantly: how we can help you enjoy your engagement while getting you excited to walk down that aisle. What’s important to you is important to us. Everything we do, we strive to do our best for you and your partner. That means asking the hard questions, getting to know the nitty and gritty in your wedding plans and always being your biggest advocate and cheerleader. We will support you and your partner 110% of the way in all of your decision making. And yes, that also means we will tell that person no on your behalf when you don’t want to hurt their feelings. Does that put us in a hard place sometimes? Yes. Is it worth it? Absolutely if it makes you happy! We’re not just your O’ahu Wedding Planner, but we are your support team. 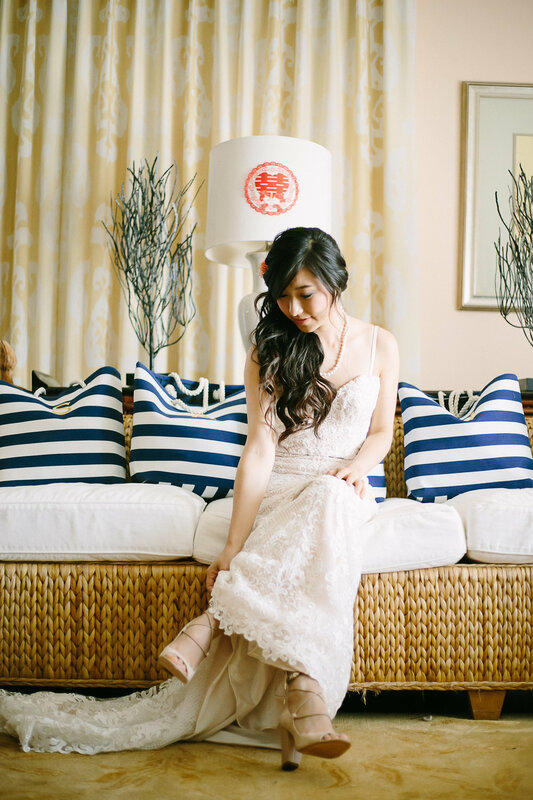 We offer various O’ahu wedding packages intimately designed for our couples in mind. Whether you are a Bride that needs her T's crossed and I's dotted or a couple that's completely overwhelmed and doesn't know where to begin, we're here to help ease your mind with a complimentary consultation to assess where you are and how we can be of service to you. "If you think you've thought of everything, you'll be pleasantly surprised when Stephanie offers insight and ideas to make your big day all the more special." She is the consummate professional, but also just a lovely and fun person to be and have around. She'll keep you on track (and make sure you actually have time for yourself to eat! ), but she'll also have all of your vendors on the same page working for you to make your day flawless. We are so lucky to have met Stephanie - she's given us gorgeous memories to last a lifetime, with every intricate detail so well thought out and executed to perfection. Thank you for your inquiry! We look forward to reading your email and getting back to you soon. 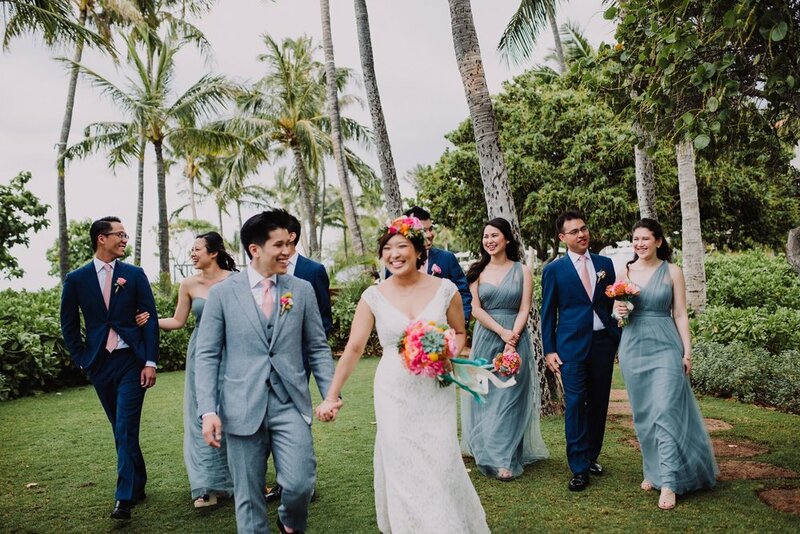 You'll find some of my favorite photos, inspirational quotes, tips & tricks to Hawaii weddings and most importantly: my eating and wedding antics via InstaStories!